To support participants who seek future competitive employment opportunities by identifying and helping develop foundational work skills. To provide a calm and supportive agrarian environment where those who participate can engage in an array of activities dedicated to increasing self-sufficiency and self-awareness while improving our community. • Spring (late April-mid June): A small number of individualized apprenticeships and a volunteer-based, community effort setting up the garden for the official summer program. We focus on preparing the garden, organizing tools, transferring seedlings into the soil when ready, and preparing the environment for instruction. • The Flourish & Grow Summer Program (8 weeks, mid-June to mid-August): Our official summer program, running five days a week. We cover the full cycle of gardening (planting, weeding, watering, harvesting, cleaning), offer job assignments and responsibilities, provide delivery to selected partners, and participate in community giving. • Late Summer/Fall (mid-August to October): A small number of individualized apprenticeships and a volunteer-based, community effort maintaining and settling the garden for winter. Assigned apprentices continue to harvest and deliver to our local partners, and volunteers help with weeding, watering, taking down end-of-season plants and packing away for Winter. 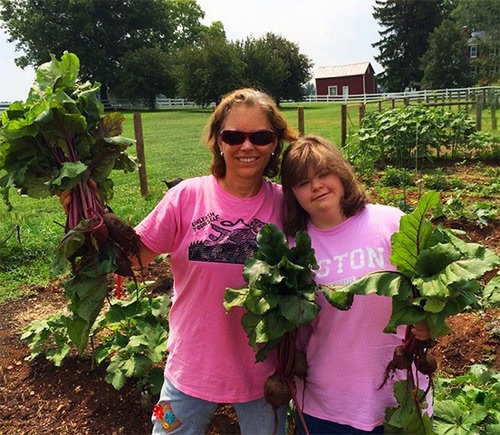 Our seasonal programs are designed to introduce individuals with Autism and developmental challenges to a farm environment. We introduce tools and farm resources, while teaching participants how to safely and properly use them. Participants also gain a greater understanding of diverse types of plants, how to establish seedlings, methods for transferring starts and direct seeding in the garden, as well as harvesting and sometimes sampling the foods they grow! Leadership program participants are assigned responsibilities to deliver to and maintain relationships with selected local buying partners and food banks. In all of our Seasonal Sessions, daily instruction instruction is hands-on, and customized to support each participant’s abilities, goals, and behavior plans (if applicable). Each day begins with a review of the previous day's learnings and introduction to the focus of the day, followed by "hands-on" instruction in the garden. We close by reviewing successes and what we've learned. We organize maintenance days in the garden, with tasks specific to seasonal needs. This supports our volunteer-based organization and provides an opportunity for full community involvement. We supply all the tools and you enjoy the calming effect of spending time tending flowers, mint, basil, tomatoes...and the beautiful Temple Hall environment. Though we don't offer official large group programming during the spring and fall seasons, we do support a small number of individualized apprenticeships, partnered with family and/or therapist involvement. Contact us for more information. See the detailed program description of our 2019 program for more information. Our eight-week program is designed to introduce participants to a working farm environment and to support foundational work skills. Daily instruction focuses on gardening, personal development, and the “soft” skills needed to get and keep a job. We offer a well-rounded curriculum with real-world deliverables to our local buying partners. Our programs are aligned along a continuum of development so that participants gain skills and move into different areas of the curriculum with experience. * Our Therapeutic Program is focused on core garden skills; we help each participant choose and specialize in an area of natural talent or interest. * Our Leadership Program includes two-month job positions in an apprenticeship-style model; we support professional relationship-building skills through interaction with other participants and presentation of our products to selected buying partners. All participants learn the skills necessary to work a farm and deliver Legacy Farms’ products to market. In addition, all participants have personal development goals with an emphasis on the qualities of Grit (“sticking with it” for a job well done) and Gratitude (for the gifts of the earth, for our relationships with one another, and for the opportunity to serve others in our community). Our priority is that the character goals we teach and the work participants are asked to do reflects as closely as possible the needs of professional environments they will be entering. As our programs are still new and under development, we do not currently charge for our services. We want everyone to be able to attend! AND we also need to balance the financial demands of a working farm and staff to support our programs. Therefore, we request a donation for attendance. For summer, we request $550/total for those who can attend 1-2 days a week and $850/total for those who can attend 3-4 days a week. Ultimately, the donation amount should be determined by you, based on your need and ability to support this programming. Legacy Farms has a three-step application process. This is to ensure the applicant is a good fit for the programs and services we offer. The farm is a fun and wonderful place to work, but safety is top-priority. Each participant and family/guardian(s) is required to fill out an application. 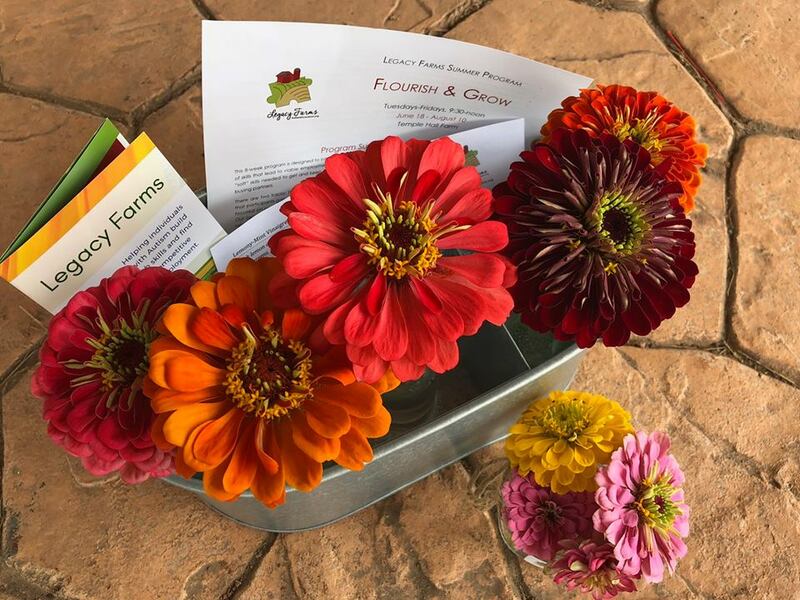 Decisions for inviting individuals to join the Legacy Farms Community are based on the potential participant meeting the entrance requirements, and the assessment by Legacy Farms Support Staff for how the individual can contribute to the Legacy Farms Community. Next, we will contact you to discuss your application, explain the upcoming program's key learnings, and answer any questions you may have about Legacy Farms. At that time, we will discuss if you would like to tour the farm and see first-hand what our program offers. Upon acceptance, you will be sent final paperwork to ensure your space in the program is reserved. This will include any forms that require a signature, as well as determining the participant's scheduled days in the program.